In the beginning was Steven, and Steven was with the Dawes, and Steven was a Dawes. Steven prays daily to the gods that be for “cars with fins” to make a comeback someday. Steven's thoughts on "Eve" from the Menagerie Series: "I would hit that so hard that whoever could pull me out would be the true-born king of England." Steven's insanity is driving him crazy. While Steven says that he lives in Omaha, Nebraska with an adorning wife and a creative daughter (who’s living proof that “The acorn doesn’t fall far from the tree”), in reality he’s a permanent resident of the state of denial. I’ve always enjoyed reading “how to” guides on a variety of topics. Even if I’ve read a similar subject before I’ll read them to see the different thoughts, beliefs and takes that particular writer has to say about the subject. Such was the case with Writing Monsters: How to Craft Believably Terrifying Creatures to Enhance Your Horror, Fantasy, and Science Fiction. I’ve read a few guides on writing monsters, but it’s been awhile so this was a good refresher while learning Mr. Athans take on monsters and writing about them. Every so often I get something to review that I have no idea what I’m getting myself into. Getting a copy of Eternal Lies campaign book for the Trail of Cthuhlu RPG (from Pelgrane Press) to review was one of those times. 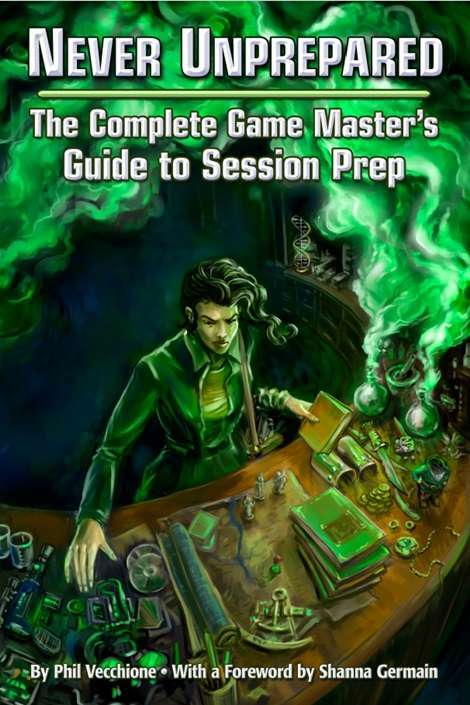 I’ve played Trail of Cthulhu once or twice at gaming cons, I’m familiar with several Cthulhu based games, and I love adventure/campaign sourcebooks in general so I thought this would be a quick and easy review. However, I was simply shocked when I opened up the PDF file for the first time to discover that Eternal Lies has a four hundred page count! How could this be? As I understood it, Eternal Lies is a sourcebook for only one complete campaign. I’ve seen campaign books half this size with several adventures in it, but nothing this large before. How can this book be 400 pages? And all 400 pages for one campaign? The audacity! The immensity! The madness! The size, and there for the incredible scope that this adventure must be was suddenly daunting. Hey there fans of Flames Rising! I gotta tell you, I was pretty excited about diving into issue #3 of the Dept. of Monsterology. So far the issue has been well written, possesses some good, witty dialogue, and the artwork has been spot on in setting the feel and tone of this pulp-supernatural series. Issues 1 & 2 were interesting rides while building up to some serious trouble for both Team Challenger and Team Carnacki. Things were already going downhill for Carnacki by the end of issue #2, and trouble loomed on the horizon for Team Challenger. So how does issue #3 fare? Looking at the cover of “Dept. of Monsterology” from Renegade Arts Entertainment, I knew right off the bat that it had potential. The color palette is minimal and bleak, with plenty of blackness and shadows mixed in to compliment the mysterious tone of the comic. 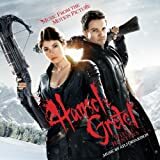 I’ve been hearing about Hansel & Gretel (H&G) for well over a year now. It was supposed to have hit the theatre a few times over the last year before it if finally escaped this weekend. If I had to guess, the studio was probably waiting for an opportunity to dump it in hopes of making a quick buck and then forgotten about, and after the “Avengers” made it so big and everyone recognizes Jeremy “Hawkeye” Renner these days, now was the time to start this witch hunt. It was probably the right move; my niece was dying to go see this with me, simply because Hawkeye was in it. So with a couple of teens and my wife forming a hunting party, we all went to see G&H. And how did the hunt go? Due to being a full time student for the last 18 months, I’ve not been very active in writing reviews for Flames Rising. I’d also retired from gaming for more than a year due to said schooling, but recently I’ve come to realize that gaming is too much a part of my being; it’s far too hard wired in me as a creative outlet to be able to give it up forever, much less for years at a stretch. So for the last few months I’ve been trying to make it work again, taking up the gauntlet as a weekly Game Master. But I couldn’t do it like I used to; changes in how I managed my Game Master duties needed to be made, and so I’ve been trying different things to varying results. Blair Witch 2 holds a special place in my black heart. No so much because of the movie itself, it happens to be the first movie my wife Lilly and I went to see together (somewhere along the lines of a 3rd of 4th date.) We were both fans of the 1st film (me more so than her), and as it was the autumn/ Halloween season so seeing a scary movie seemed like the thing to do at the time. It was incidentally the inaugural “dinner and a movie” date ritual that became a cornerstone of one of our favorite things to do together to this day. During the few times I’ve watched it since, I get a twinge of nostalgia, and did so again during this last watch for reviewing purposes. But does nostalgia a good movie make? I had no idea what I was in for a year ago when I rented “Trick ‘r Treat” on Netflix. I‘d hear nothing about this film from anyone, but I read on the Netflix site that it starred Anna Paquin, Brian Cox and Dylan Baker (three actors whom I dig mucho) and the story description went like this: “In writer-director Michael Dougherty’s fright fest, Halloween’s usually boisterous traditions turn deadly, and everyone in a small town tries to survive one night in pure hell … but who will still be alive in the morning? Several stories weave together, including a loner fending off a demented trick-or-treater’s attacks; kids uncovering a freaky secret; a school principal — who moonlights as a serial killer, and more.” To me, this sounded like a potentially good time and I added it to the list. Josh, Renai and their 3 children are the typical middle class American family. In what feels like a cliched setup, the Lambert family has just moved into a house, only to learn soon enough that it happens to be haunted. Various staples of ghost story elements follow, which are seemingly set up to where you feel a “poltergeist” clone coming on. But then… the entire feel and angle of the film is turned on its head, creating one of the best ghost story films released in years! I intended to review INSIDIOUS when I saw it at the theater months ago. I so dug the hell out of this flick, so much so that I went to see it twice, which was a big deal as I’m currently a full time student who really has to mind his funds. There are only a few films from my childhood that fills me with nostalgic glee every time I reminisce about them. The 1981 made-for-TV horror movie “Dark Night of the Scarecrow” is one of those movies. There are a lot of movies that I can sort of remember watching the first time, but I can still recall in vivid detail the first time I watched this one, and it’s a good memory for me. I was at my best bud Ken’s house, who’d seen DNS a year earlier with his folks, and was so taken by it that the boxer puppy they adopted a few weeks later was named after the main character (Bubba). I recall watching his dad lighting the fireplace (it was a chilly October already) as Ken and I got ready for the movie. As Flames Rising is looking for ghost related posts for this year’s Halloween season, I found this to be an opportune time to dive into some ghost flicks. And while I’m the kind of mook who’s all about “saving the best for last”, I’m going completely opposite with this one. “The Changeling” was chosen as my first ghost story flick to review, and honestly, it’s the movie that I hold all ghost movies in terms of masterpiece quality. The story centers around John, whose wife and daughter die in a tragic accident before his very eyes. So with summer coming to a close, I’ve finally got some days off from school before I’m back again this fall. After all the HTML learning, numeric coding, interface designing, networking essentials and even Human Relations (only cause it’s required), I was ready for some time off. 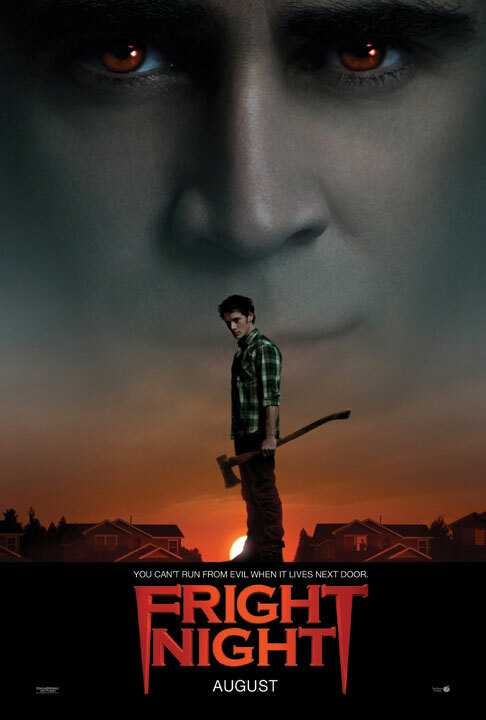 It seemed to be fortuitous that Fright Night came out in the middle of my break, for I am REALLY in need of some horror shenanigans to blow off some steam. Now, before I continue on, I have a horrible confession to make. I’m very ashamed to admit this, and my fingers are shaking in fear of this revelation so much that it’s difficult for me to even type right now. 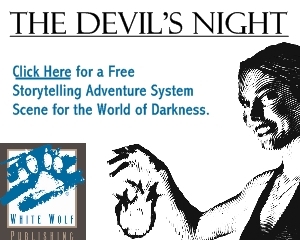 But they say the truth shall set you free… so here it goes… *exaggerated gulp* … I’ve never seen the original 1985 Fright Night… *the sounds of crickets can be heard clearly in the distance*. Good evening… and welcome to another episode of “Horror Masterpiece Theatre”. I am your host Steven Dawes. As some of you may know, I’ve always found ghost stories to be entertaining and interesting. I find them so interesting in fact that was a co-founder and the general manager of local ghost hunting group for a few years. While I’ve since retired my ghost hunting days, I still enjoy a ghostly tale or three. And it was here where my unexpected visit to “Hell House” began. Over the last few semesters at my school, a fellow student (who by night is known as “Craig”) has been in several of the same classes I’ve attended. As fate would have it, we were partnered up for a project together last semester, and as we worked on our project we got to know each other and discovered our mutual appreciation for the paranormal. Hello again fellow horror hicks! I know, it’s been a long time since my name graced the pages of Flames Rising. But my school duties have been a greedy bully with my time as of late. If it makes you feel any better, I’ve not have much time for anything else I enjoy doing either. And perhaps as further punishment of my not being around more often, the latest book I was given to review, titled “Dead Stay Dead”, was simply insufferable and punished me harshly for reading it. 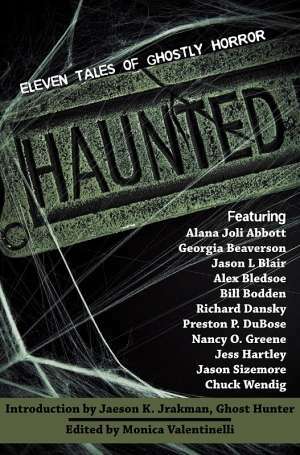 From its description, it wanted to be blended mix of Buffy the Vampire Slayer, Shaun of the Undead and Zombieland. But what it turned out to be was a plain mess to read that completely missed its mark. I hope my past reviews show that I’m not a snobby or picky reader. 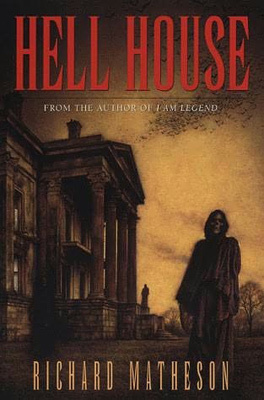 I’ve read many different styles of horror books and have found ways to enjoy them all. 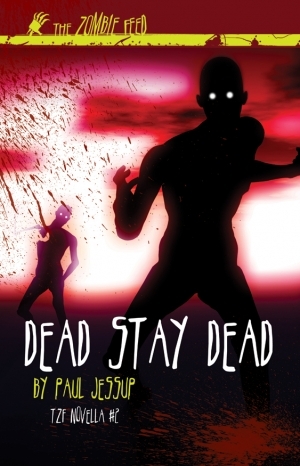 I read the short novella “Dead Stay Dead” before I realized that it was the second story in the new “Zombie Feed” series from Apex Book Company. After a bit of research I found the short story “Asylum” was the first story released in the series, which also happened to have recently arrived as a reviewers copy book in my mail. 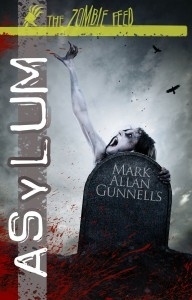 Feeling kinda sheepish that I hadn’t done my home work before hand, I set out to read “Asylum” to cover my bases. And I’m glad that I did as this story was unexpectedly interesting to read and author Mark Allan Gunnellis got a lot of mileage out of a mere 80 pages. The story is centered on several homosexual men who barricade themselves inside a gay bar when the zombie apocalypse begins. I’ve been put through the literary meat grinder recently with good books like Darkness on the Edge of Town and On the Third Day. So I figured it was time to read something a little lighter of subject; something not quite so epic this time around. You know, something frightening… but fun! 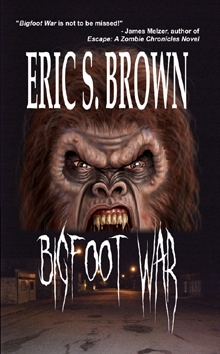 To that end, my reviewer’s copy of Bigfoot War couldn’t have come in the mail at a better time! I’ve never read a Bigfoot horror story before; to be honest, most of my experience with Bigfoot comes from either watching Harry & the Henderson’s or watching the car crushing eponymous monster truck. I knew nothing about author Eric S. Brown either, but fortunately he spilled his own can of beans in the book’s introduction. Let’s start this one by taking a trip in the way back machine about several months ago. While hanging with a buddy of mine, I came across his just read copy of Urban Gothic by Brian Keene. I’d never read any of Keene’s work before, but after reading the back of the book and being given the thumbs up from my pal, I read it for myself. It was a blunt and gritty ride on the horror express that I dug mucho and vowed never to enter a vacant house again. It even became one of my earliest reviews posted here on da’ Flames. Since then I’ve gone on to collect and read a few more of his books and have become quite the little fan. I became an instant fan of David Niall Wilson’s work when I had read This is My Blood a few months ago. Since reading and reviewing this new personal favorite book of mine, I’ve kept in touch with David here and there. 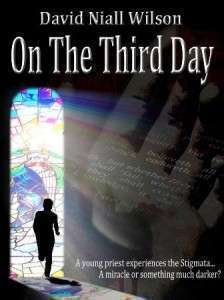 During one of our chats he’d mentioned one of his latest books titled On the Third Day and its subject being deep-rooted in religious themed horror, much like This is My Blood. I was immediately intrigued and I set off to read it as soon as possible. As of this last weekend I read “Supernatural: Book of Monsters, Spirits, Demons and Ghouls” and thus wrapping up my three part supernatural quest. If you haven’t been keeping score, my first venture into the quest was tangling with a book that forgot that it was based on the Supernatural TV show and did its own thing. My second part of the quest proved to be an improvement that led me into the depths of John Winchester’s history, mind and research via his journal.